The winning team (Midland Counties Guild).-Back (I to r): Alan Burbidge. Gordon Lane. David Hiorns. Ian Roulstone. 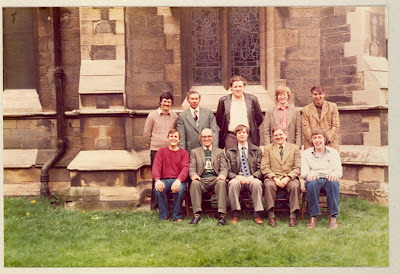 John Smith; front (I to r): Andrew Else. Derek Jones. Brian Meads. Peter Marriott. Malcolm Quimby. 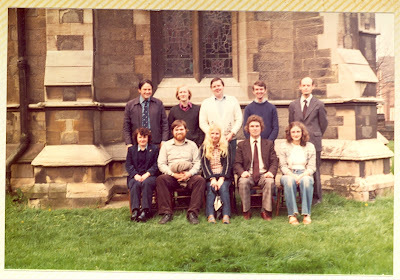 The fourth competition for the W. W. Worthington Memorial Trophy was held on April 11th at St Paul’s, Burton-on- Trent. This annual l0-bell competition is now attracting teams from further afield, and amongst this year’s seven entries was one for the first time from the Surrey Association (Northern District). An unfortunate late cancellation also occurred – that of the Lincoln DG forced by the illness of one of the team members. Three towers were open for general ringing during the afternoon, and the bells of Hoar Cross (6, 28 cwt), Barton-under-Needwood (8) and Alrewas (8) proved popular, especially those of Hoar Cross, where the weight of the bells was an added attraction. Because St Paul’s is at present without an incumbent, the vicar’s warden welcomed the bands and made the draw for ringing order. The test piece was a true touch of 404 changes, consisting of 202 each Stedman Caters and Cambridge S. Royal. Each band was allowed 30 minutes for a practice and to finish the test piece. A buffet was provided throughout the afternoon, and it was well supported, making a valuable contribution towards the cost of staging the event. 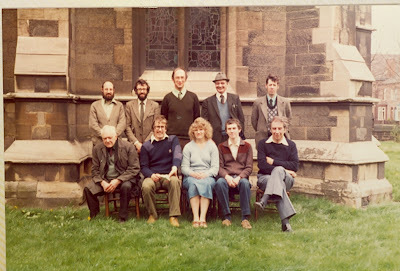 1 Midland Counties Guild (75 ½ faults); 2 St Martin’s Guild (79½); 3 Oxford DG (E. Berks/S. Bucks Branch) (87½); 4 Surrey Assn. (Northern District) (88½); 5 Worcestershire & Dists. Assn. (112); 6 Leicester D.G. (149½); 7 N. Staffs. Assn. (154½). This victory for the “home” team was at their fourth attempt, after having come second last year to the St Martin’s Guild. The solid silver rose-bowl trophy was presented to the captain of the winning team (Malcolm Quimby) by Ben Worthington (Midland Counties Guild president) with suitable congratulations. Mr Worthington also thanked those who had worked to make it such a successful day and the teams for taking part in the competition. Many of those present afterwards adjourned to the nearby “Star and Garter” for the usual inquests after such events. 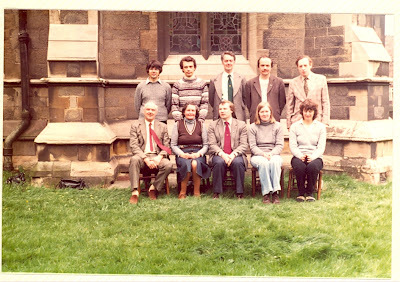 Catherine J B Speed, John McDonald, Frances Bates, Richard B Grimmett, Christine Grimmett, Clifford A Barron, Simon P Griffiths, David Bates, Gary Haslam, Maurice F Edwards. 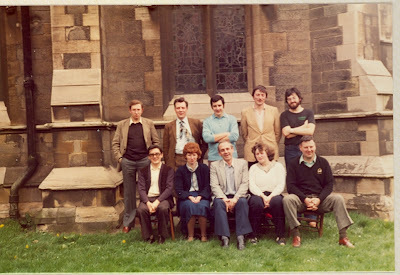 Michael P Moreton, Jean Kimber, Jeremy R Pratt, Anne Pratt, Sheila Cheeseman, Nigel J Thomson, Jeremy Cheeseman, Raymond J Talbot, Michael J Uphill, Stewart F Kimber. 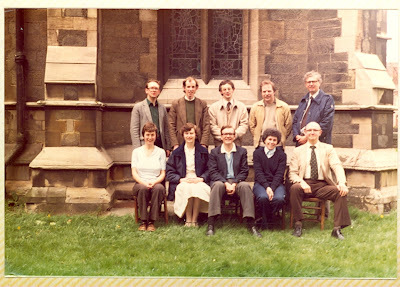 Alan E Jacques, Sally A Atkins, A James Poynor, Carol N J Franklin, Stephen J Franklin, D Robert Pettifor, R Kingsley Mason, Garry W Mason, John Adcock, Howell J Williams. 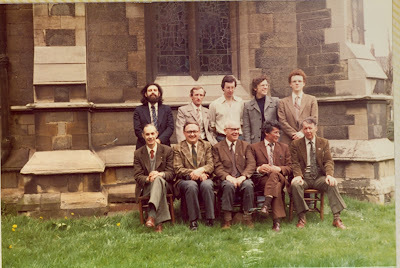 Ralph B Mitchell, Timothy M Davis, Irene Buckley, Michael Wilshaw, Frederick E Wilshaw, Ian Friend, Raymond Ballard, David J Midgley, Norman Sherratt, Harold Dowler.